Sessions will be 30 minutes long. Please email me with the time slot you purchased below with how many people will be in the photos and the ages & and gender of the children and if there are any pets. 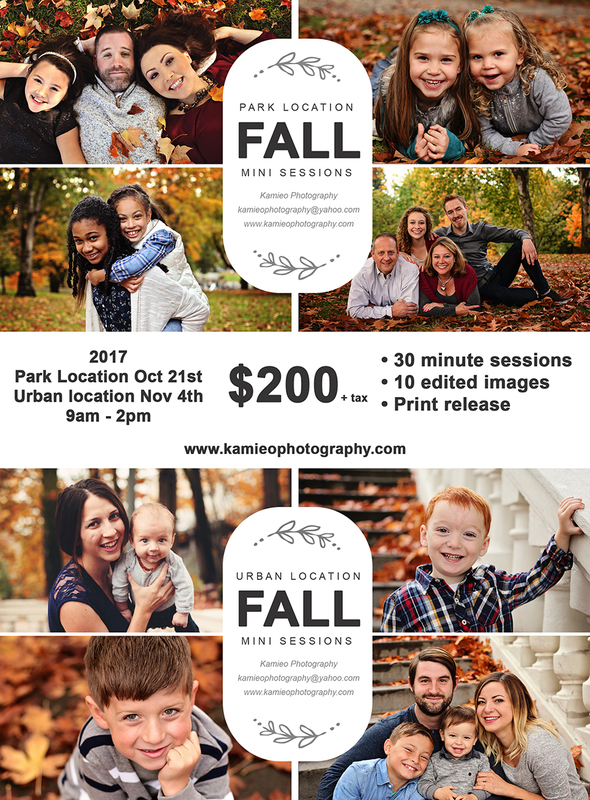 I will update the Appointment list below with a first name when a time slot has been booked.kamieophotography@yahoo.comNOTE : Please make sure you purchase from the correct drop down menu below. There is one setup with times for each location.